As I mentioned before in my review of “Undrunk” by the wonderful Fletcher, I’m not a huge fan of the pop genre, at least by today’s standards of the genre which heavily features bubble gum everything, songs that have no meaning, and a machine that pumps out the latest pop star whether it’s a woman or a man in a matter of seconds. I just don’t enjoy it so much anymore like I used to. 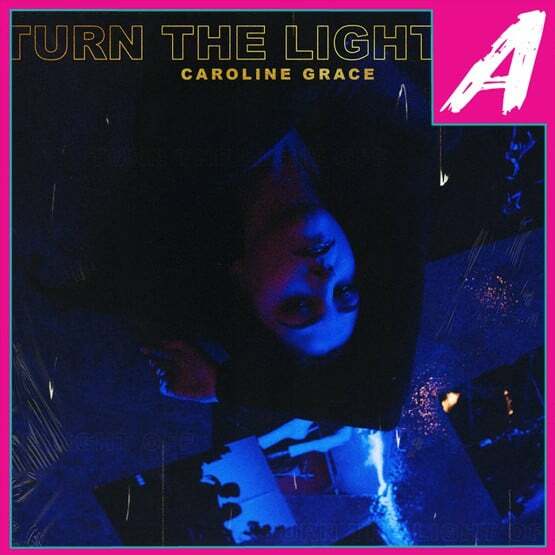 However, there still seems to be some hope left in the genre, and her name is Caroline Grace, and her latest single “Turn The Light Off” is everything this genre needs. But, does the pop genre deserve Caroline’s sweet melodies? Let’s find out. “Turn The Light Off” which is lifted from Caroline Grace’s upcoming debut EP Afraid of the Dark, is a wonderful black tapestry blanketed over a sunlit room allowing just the smallest amount of light to enter. The subtle yet powerful instrumentals featured throughout the track are melted chocolate for my listening pleasure, and when coupled with Caroline’s beautiful range and heart-pounding lyrics creates for a truly exceptional experience. Funnily enough, you should give the track a listen while sitting in the dark, it adds to the charm “Turn The Light Off” is showcasing. It’s the subtle attitudes featured throughout “Turn The Light Off” that won me over. The track is a complete one-eighty from what one comes to expect from a pop song in today’s genre, and I’m loving it. “Scared of the darkness inside, better for me just to hide.” These are the lyrical qualities you can expect from “Turn The Light Off,” and its genuine fear and wonderment will keep you hooked for hours. I’ll be pretty clear, this is my first time listening to Caroline Grace, but I’m already on my way to listen to her other tracks: “Move Alone,” “Leave My Heart Alone,” and pretty much any others I can get my hands on. I will say, as much as I love “Turn The Light Off,” I’d really enjoy hearing a stripped down acoustic version, as I’m sure the heart and soul featured throughout the track would shine even more. But, overall Caroline Grace is starting on her path to conquer the pop genre, one amazing song at a time. If you’d like to check out Caroline Grace’s latest single, “Turn The Light Off,” you can stream it right now. I’m quite excited to listen to the rest of Caroline’s debut EP, Afraid of the Dark when it’s released this Summer. Review: Water District - "Take Off Your Clothes"